Tipping Point is excited to announce the musicians who will be working with Mercury Prize-nominated artist Nadine Shah on the first of our residencies. For one week at Blank Studios in Newcastle, four talented female artists will receive intensive mentoring from Nadine and her partner in crime, world-renowned music producer Ben Hillier, and the extensive expertise of the Blank Studio sound engineers. Martha Hill is a an alternative pop artist based in Newcastle upon Tyne. After growing up as one of six siblings on a remote Scottish peninsula, where the only link to the mainland was via ferry, she left home at 17 and spent two years touring across Europe as a street musician. 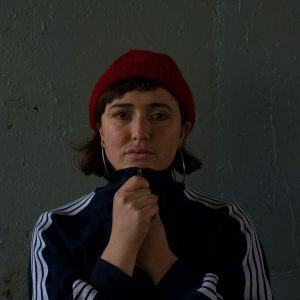 Eventually relocating to North-East England and falling in with a local scene for the first time, Martha and her band have spent the past year touring all over the UK supporting the likes of Holy Moly & The Crackers and Let’s Eat Grandma at venues such as Borderline and The Cluny, with two DIY tours of Europe falling in between. Her most recent gig was for BBC Introducing, supporting Atlantic-signed Mahalia on The Biggest Weekend Fringe Tour. 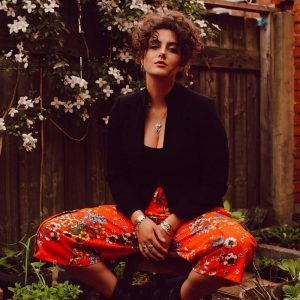 Martha Hill’s debut single ‘Spiders’ was released in June 2018 and has been championed by The Line Of Best Fit, BBC Radio 6 Music and Spotify, amongst others. Front woman of folk-rock band ‘Holy Moly & The Crackers’, Ruth Patterson is a multi-instrumentalist and singer-songwriter. The band’s latest album ‘Salem’ has taken them to new heights, gaining over a million streams on Spotify and receiving rotation on BBC Radio and RadioX. The album’s lead single ‘Cold Comfort Lane’ has been featured internationally on adverts and TV shows, and is the main end title track for the film ‘Ocean’s 8’. Growing up in North Yorkshire, Ruth classically trained on violin and clarinet whilst teaching herself to play piano and write songs. However, at the age of 15 she was diagnosed with chronic arthritis and was unable to play for two years; her hands have never fully recovered, damaging her chance of a classical career. She began to sing and has spent the last ten years developing her versatile rock voice and intelligent song-writing and performance style. Ruth studied fashion design at Northumbria and in her third year, age 21, was diagnosed with Ehler’s Danlos Syndrome, a connective tissue disorder affecting all of the joints and causing frequent dislocations, wide-spread pain and chronic fatigue. She has been a wheelchair user since then, but managed to complete her degree before heading off with the band three days after her graduation. Embarking on an extensive tour; playing over 300 shows, 60 festivals (including Glastonbury, Secret Garden Party, Wilderness, Boomtown, Bestival and Frank Turner’s Lost Evenings), Italy, the Netherlands, France, Portugal, Hungary, Czech Republic and Germany. Ruth is also developing a solo project, an idea conceived when she performed and led a discussion at Alphabetti Theatre centred around her experiences as a disabled front-woman. “Understanding other people with different, diverse experiences is really important and we only gain understanding by sharing. That is the focus of my solo project.” She has recently secured a place on the summer studios residency at Sage Gateshead, begun production for her debut E.P and focused on developing her love of string arrangement which underpins her sound. Ruth has been interviewed on the BBC radio Ouch show, appeared on panels at the Roundhouse in London focusing on diversity and the lack of accessibility within the music industry, written articles for Hey Girl magazine, M for music PRS magazine and has been working with the organisation Attitude Is Everything, spreading awareness of the needs of deaf and disabled performers and audience members. Rachael Whittle is a North East-based singer and guitarist currently fronting the alternative rock band Ilser. Rachael’s music draws influence from early 90’s rock such as Nirvana, Pearl Jam and Pixies, as well as more modern indie/punk outfits such as Pile and Slothrust. After studying Music Production in Southampton, Rachael returned to the North East. Hearing the music she had been writing while at university, an old friend got in touch, eager to perform the songs. Ilser was formed. Ilser made their debut on the UK live circuit in 2014. Since then the band has made waves on account of their explosive live performance, unique/brooding recorded content and strong work ethic. As well as writing riff driven alternative rock Rachael also has a passion for acoustic folk, writing soulful downbeat tracks for solo use. most recent being Five Pence Game, a collaboration with Ally Morton of Massa Confussa. Her track ‘Stay’ showcases her softer style of writing. With such a wide range of influences Rachael’s writing style is very unique, creating music with confrontational riffs and ethereal melody alike. Annie is a solo artist and singer songwriter from Leeds. 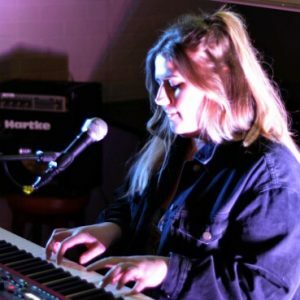 Since graduating last year with a degree in Music, Annie has been gigging her way onto the Newcastle music scene with acerbically witty lyrics and soulful vocal melodies. Her songs aim to reflect a refreshing and thought provoking take on pop music; all of which can be heard throughout her debut album ‘M’, released in June last year. Annie hopes to release a second album this coming spring. It was an incredibly difficult decision to select just four people from a huge number of applications. We've chosen some of the most promising up and coming female emerging artists in the region who, as a result of working with Nadine Shah and Ben Hillier, could catapult their music to the next level of recognition.